Great location. Walking distance from the Eiffel Tower. The Hotel personel can arrange an airport shuttle. An ATM is near. Hot water. Restaurants are near. Budget friendly. Lovely location, walkable distance to Eiffel Tower. 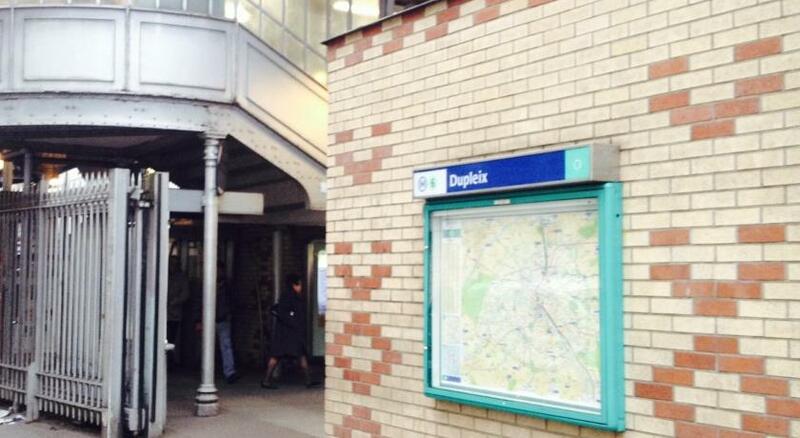 Also near to Dupleix metro. Location was good. There was someone on site 24/7. We came in late a few nights and the door was locked which was good for safety. Rooms and bathrooms where spacious enough and clean. Didnt like anything about this place beside it was located near the Eiffel Tower. Location is good, room had a separate kitchen dining area. Fridge, microwave and dining table. The location was great about a 3 min walk to the metro Dupleix. Nice size with eat in space. Staff was helpful. Stored our luggage upon arrival until room was ready. Rooms was well heated. Will book again! 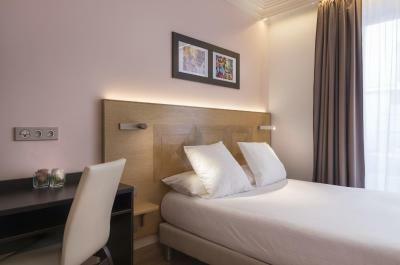 Good location near Eiffel Tower and Metro stop. Decent selection of restaurants in the area. 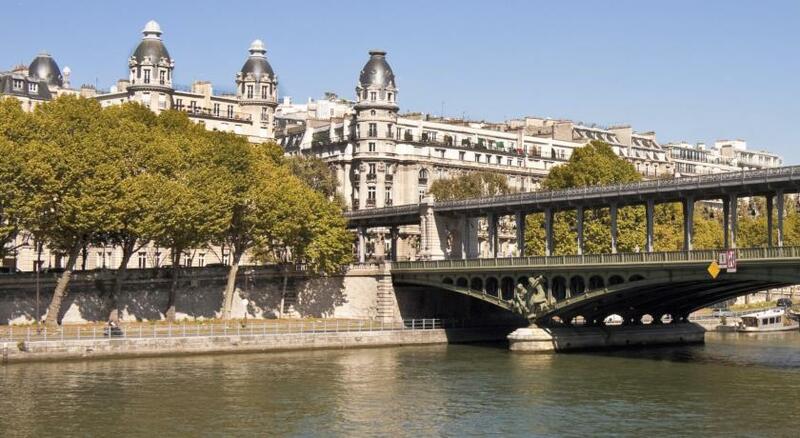 This hotel is not so near to Eiffel Tower, you need to take train to get there. 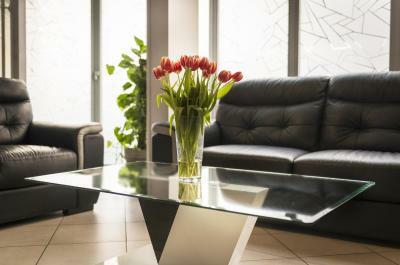 The good thing is that it is located very near to a train station namely Duplex Station. The neighborhood around the hotel is also nice, safe and there are many chic bars, mini markets and restaurants. Such a good option for a budget trip with friends. 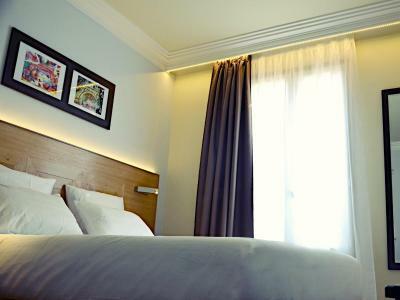 They have quite a big room that is comfortable for 3-4 persons, so it’s perfect for a budget trip with friends. Location was pretty spot on but being near Eiffel Tower, but also far enough away that it was not a busy street. 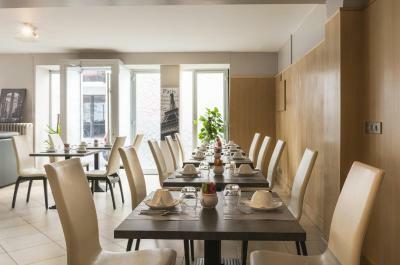 In the heart of the 15th district, the Hôtel Eiffel XV is just half a mile from the Eiffel Tower and has a 24-hour front desk. 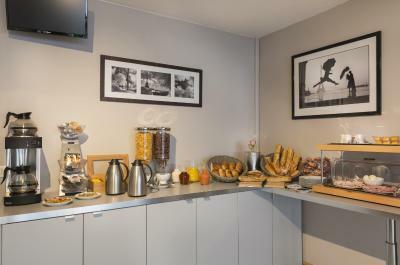 There is also luggage storage and a lounge and the hotel is an 8-minute walk from the Seine River. Accessed by a staircase, all rooms feature a flat-screen TV with cable channels, a wardrobe and tea and coffee-making facilities. The private bathroom includes a bathtub or shower, and some also have a hairdryer. 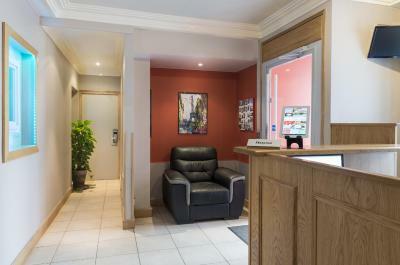 Additional features include free Wi-Fi access throughout, free public parking nearby and a safe. 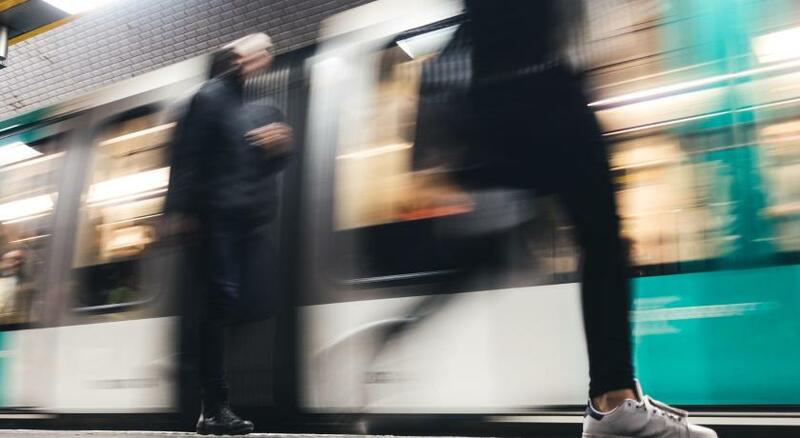 Dupleix Metro Station is 500 feet away and provides direct access to the Arc de Triomphe and Montparnasse Train Station. When would you like to stay at Hôtel Eiffel XV? 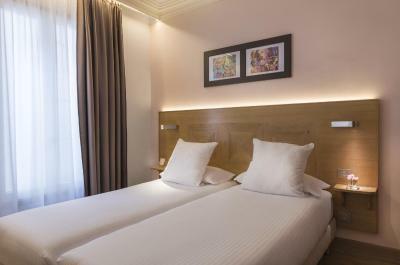 This air-conditioned room features a flat-screen TV with cable channels, a wardrobe and tea and coffee-making facilities. The private bathroom includes a hairdryer and free toiletries. 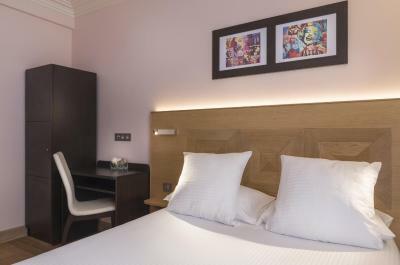 This room features a flat-screen TV with cable channels, a wardrobe and tea and coffee-making facilities. The private bathroom includes a shower. House Rules Hôtel Eiffel XV takes special requests – add in the next step! Cash Hôtel Eiffel XV accepts these cards and reserves the right to temporarily hold an amount prior to arrival. Hôtel Eiffel XV accepts these cards and reserves the right to temporarily hold an amount prior to arrival. Spiderwebs/Spider in our room!!! Very loud. You can hear your neighbours! Our room had a bedbug problem. I have travelled much of the world, including rural parts of the Middle East and India. do not recommend this establishment for anyone who enjoys even the most basic comforts. It was a little noisy and there is no elevator. One of the staff is very rude.our shuttle bus going to airport was late and he should be apologetic instead of raising his voice to me.the staff during our check in was very nice though. 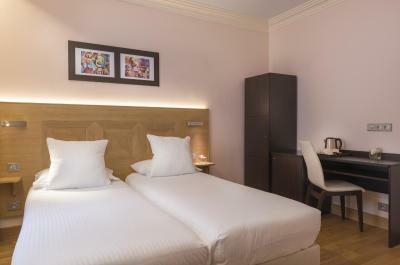 The hotel is very well located: close to the Eiffel Tower and 2 minutes walk from metro Dupleix. A breakfast is available each morning. There are many small restaurants in walking distance. Free wi-fi works very well. The staff is very pleasant and helpful The only missing point is an elevator. The hotel is very close to the Eiffel Tower. It is 10 minutes walk from it. Metro station is closer - 2 mins walk. There are many small restaurants in the area as well as fast food restaurants. Todo normal. Detalle hotel sin ascensor. Having to leave the key at reception every time we left the hotel, no cups in room even though there was a kettle, scuffs and stains on the wall , no suitable storage for clothes. The shower is too small. There are many steps and no elevators so big suitcases are not recommended. Rooms are small. 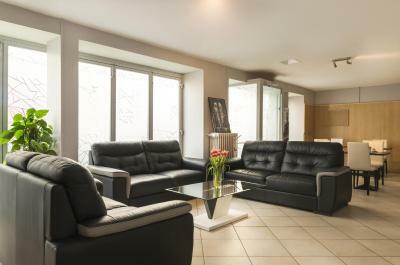 Great location because its near the metro and an easy walk to the Eiffel tower. The rooms have great windows and are accommodating but very simple. The breakfast is good.